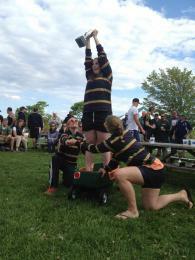 NERFU Cup 2014 Results (May17th&18th, 2014)Championship and Consolation Results:WOMEN Pool AChampionship FinalProvidence 39-12 Charles RiverConsolation FinalAlbany 17-10 BurlingtonWOMEN Pool BChampionship FinalNorth Shore 20-5 PortlandConsolation FinalWorcester 41-10 HartfordMEN Pool AChampionsh.. In an effort to help promote and strengthen the Rugby 7s competition in New England, this summer we will be introducing a new Men’s NERFU 7s Championship Series. Designed strictly for the local area, the series will be open to all New England teams. It will be comprised of 5 nominated tourname.. The Northeast Rugby Olympic Development Academy (NRODA) will be holding two open try-outs for all male players aged 18 and over. !! !Please be advised of a change in dates for the ODA Tryouts!!! New England Academy: Saturday, May 10th @ Pine Banks Facility in Malden, MA Check-In .. 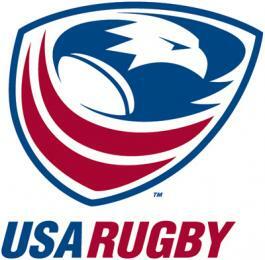 ATTENTION FEMALE RUGGERSWant to show off your rugby skills, get free performance testing, and learn how you can improve your game?Rugby and Exercise Physiology are coming together in an academic research project for “Age Differences in Skill and Physical Performance for Female Rugby Union Pl..
NEC Heads to NSCRO Nationals! 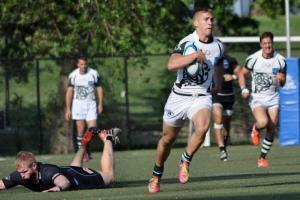 The National Small College Rugby Organization (NSCRO) National Championship is being held this weekend (April 27th/28th) at Infinity Park in Glendale, Colorado. 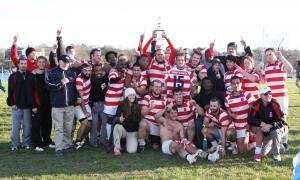 Last November NERFU club New England College(NEC) won the NSCRO Northeast Regionals to secure their spot at Nationals. This is NEC’s.. The NERFU Cup Tournament Page is up and running on Newport's club website. On there you'll find a lot of helpful info including venue maps, rules that need to be observed while in Fort Adams State Park, concession stand hours of operation and much more.Also remember to RSVP to your division director..
High-Demand for Hotels at NERFU Cup: Book Now! With three graduations in Newport, RI the weekend of the 2014 NERFU Cup, hotel space will be booked quickly. The host club, Newport RFC, have 20 rooms being held at the Best Western Mainstay (151 Admiral Kalfus Rd, Newport RI (401) 849-9880) for teams but they will only be held up until April 20th. .. 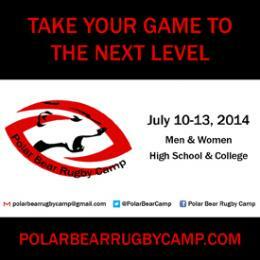 The 2014 Polar Bear Rugby Camp will be held July 10-13 and the on-line registration is now open at polarbearrugbycamp.comPolar Bear Rugby Camp, hosted at beautiful Bowdoin College on the coast of southern Maine is designed to develop all levels of rugby players through innovative coaching metho.. 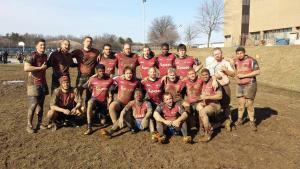 The All Deaf Rugby Club from Washington, D.C. are coming up to Massachusetts for their first ever tour. They will play against one of Member clubs the Framingham Exiles. The All Deaf are the first and only Deaf men's rugby club in the U.S. That match will be the first in American rugby history to ha..
We’d like to remind our members that a Level 200 Coaching Certification Clinic is being hosted by Burlington Rugby and the Vermont Youth Rugby Association this Saturday (April 5th) in Essex Junction, VT. This is a great way for coaches to take care of requirement #4 on the list below. Remember, in..